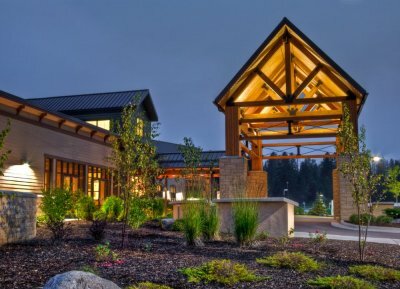 North Valley Hospital in Whitefish Montana serves more than 30,000 people that reside in Whitefish, Columbia Falls, Canyon communities and several small towns along the Burlington Northern line to Eureka. Residents and visitors through the valley are choosing to experience the exceptional care that North Valley Hospital offers. On July 1, 2013, EPIC, LLC joined forces with the emergency physicians of North Valley to assist them in providing the highest level of quality patient care. North Valley Hospital is designated as the Community Trauma Center and has 6 private treatment rooms and two trauma rooms in the emergency department. The hospital is a fully functioning inpatient hospital with multiple specialty care. North Valley hospital embraces the Planetree model of healthcare that focuses on providing patient-centered care and offers a healing environment. It empowers patients and families through information and education, and encourages “healing partnerships” with care givers. North Valley Hospital became a Planetree affiliate in September 2002, joining a group of 64 other affiliates. To visit their website click here.